As any chef will tell you, making a great dish requires the proper ingredients. How does this recipe sound? First, you take a country kid from Missouri who never backs down. Mix in a rowdy, stubborn Illinoian who doesn't know how to quit. Put that in front of thousands of energetic fans and you have all the markings for a potential fight of the year. When Fight Hard MMA returns to the Family Arena on September 17 that concoction will be the main event with Lucas Gwaltney taking on Kyle Kurtz. It's no secret Gwaltney is a favorite of Fight Hard president Kenny Nowling and rightly so. Gwaltney, from Streator, Il., leaves every bit of himself in the cage. His fight with Adam Cella two years ago is still talked about among local fight fans. Gwaltney has turned in many memorable performances and Nowling hopes to catch lightning in a bottle again when he puts "2Strong" in the cage with Kurtz. Kurtz, from Jackson, Mo., is no stranger to the spotlight, having fought only in high profile match-ups for the past year-and-a-half. 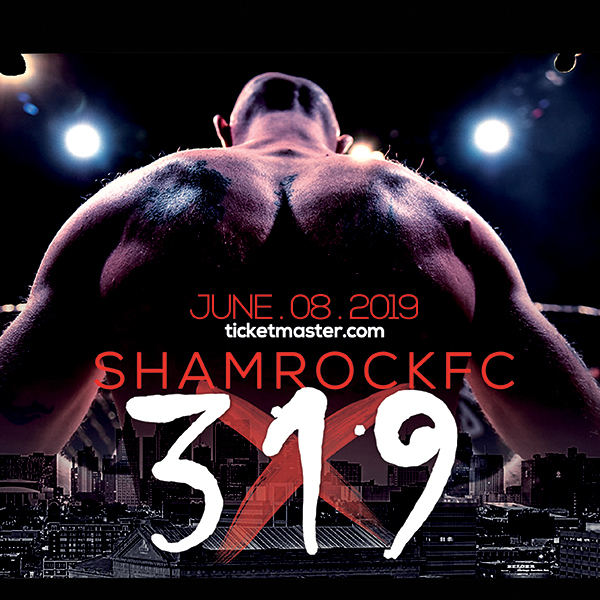 His whirlwind 18 months included two trips to the Scottrade for Bellator MMA and three main event slots for Shamrock FC where he faced Cella, Kevin Engel, and Joaquin Buckley to name a few. Kurtz's keep-moving-forward-style makes him a fan favorite, but it's his exciting come-from-behind wins that make him a threat. The main card also has the pro debuts of Derek Clardy and Dan Busch, two familiar names to Fight Hard fans. 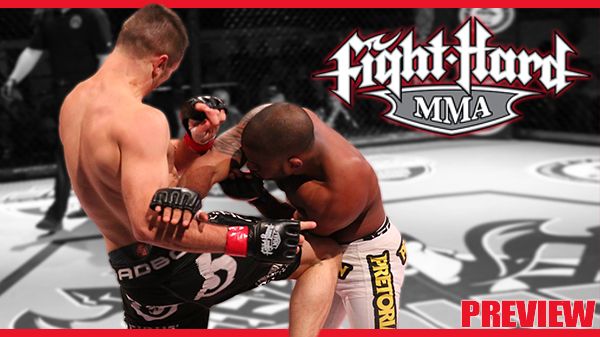 Busch won the Fight Hard lightweight title over Buddy McGinnis in a memorable clash in February of last year. Busch had a solid amateur offering and brings a well-rounded game to the cage. Clardy also had a turn with the lightweight belt, winning it off Jeradon Brown and then defending it against Miguel Lisboa later that year. Clardy is freakishly strong and packs a heavy punch. Busch will want to get the fight to the ground, where he has the advantage, and avoid any exchanges with Clardy. A rematch of one of Knuckle Junkies' Amateur Fights of the Year nominees in 2015 will see Demetrius Wilson facing Charles Johnson, this time as pros. Since that bantamweight clash in April of last year Wilson has gone 3-1 as a pro, highlighted by a victory over Ian Lujan at Victory FC. Johnson made a successful pro debut in June over Austin Ward in Kansas City and was a staple of the Fight Hard amateur events. In their last fight, it was apparent Wilson had a size and strength advantage, winning the first two rounds decisively before Johnson, the former Southeast Missouri track star, was able to use his footwork and speed advantage to frustrate Wilson in the third round of the fight. It will be interesting to see what tweaks both will make in this fight. Heavyweights Mike Wasem and Max McNeely should treat fans to an exciting clash of athletic, big men. McNeely is a former Fight Hard amateur heavyweight champ and Wasem is a prize pupil of Bellator and Fight Hard cutman and longtime St. Louis striking coach, Sid Gee. Bitter rivals Chris Pretty and Luis Pena will meet again in a rematch of a December Fight Hard match-up where Petty quickly submitted Pena by jumping onto his back and locking in a rear naked choke. Two southeast Missourians will meet for the first time when Fran Cortez enters the cage against Anthony Livingston. Livingston always has one-punch KO power and has shown incredible ability inside the cage, but often we don't get the best Livingston on fight night. In one of two women bouts on the card, Ronnie Nanney will face Nikki Smith, and Katy Collins will take on Jamie Thorton in the other. The "Red Dragon" from Branson, MO, Collins looked mighty impressive in her Bellator debut this past June overwhelming Michelle Pearce for a first round submission. Thorton is coming off a successful pro debut at King of the Cage, also in June.